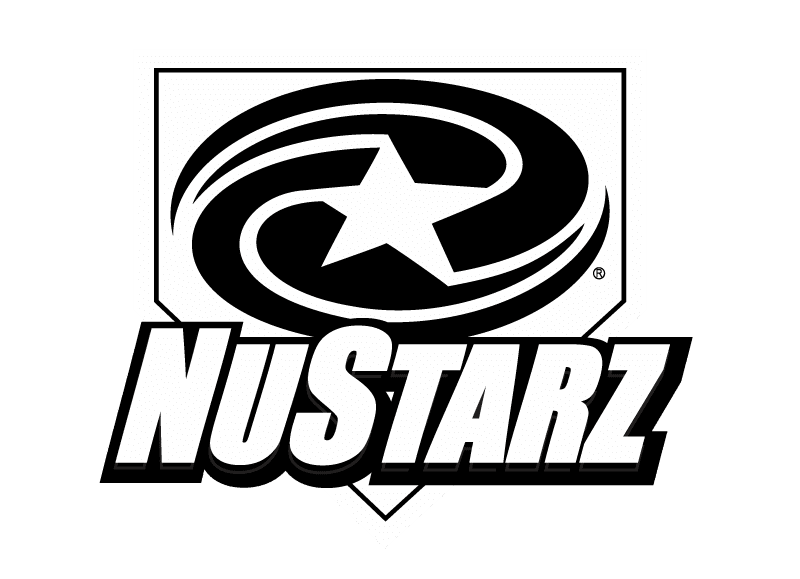 The 2015 bat models are all ready to rock and there are some pretty awesome new things on the horizon for the BBCOR swinging baseball player. Some truly notable technology upgrades from Easton have everyone here really excited. My crew and I have personally swung the new models and are happy to share our feedback. If anyone has any questions, feel free to leave them in the comments below. 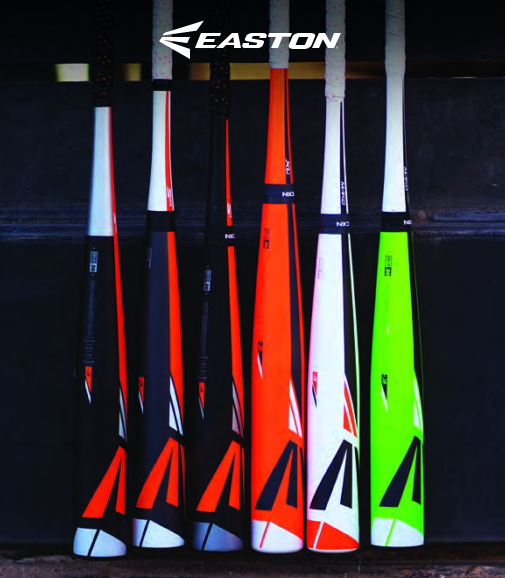 The 2015 Easton Mako TORQ (model BB15MKT) is the newest thing to hit high school baseball since the advent of two piece bat technology in the early 2000’s. The Mako TORQ features a 360 degree rotating handle. The theory behind this new technology is that the rotation of the handle leads to a smoother swing and more barrel time in the zone. If you ask me, it seems like a weird concept – but it 100% works. After taking a few swings with the neon green highlighter they call the Mako TORQ, it was apparent this bat was special. It has a massive barrel, but a very light swing weight. M.O.I. is perfected on the Mako TORQ. The two piece technology keeps your hands from stinging while still giving adequate feedback to the quality of the hit. Pop off the barrel is pretty much identical to the standard Mako Thermo Comp technology they had last year. The rotating handle is a little weird at first, but once you get used to it, swinging a standard handle feels ancient. I have a feeling this new technology will trickle down to other models in the line, but only time will tell. At $550, it isn’t for everyone, but everyone should give this new technology a go just to see what the future has in store. 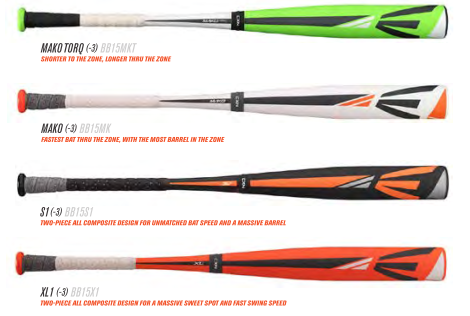 The 2015 Mako standard model (BB15MK), Easton S1 (BB15S1) and Easton XL1 (BB15X1) have upgraded graphics from last year, but otherwise remain unchanged. Why change a good thing? What we are most excited about with the 2015 bat line is the all new Z-core line of aluminum bats. Z-core technology has existed for a while, but has remained in retirement throughout the last several years. Now back in action, this legend of years past has upgraded and is ready to smash some serious bombs. Swing weight and sound are key with the two new Z-core bat models. The S2Z (BB15S2Z) is the two piece version and the S3Z (BB15S3Z) is the one piece alloy which cruises in at a cool $199.95. Feedback on the one piece is very precise. If you hit it right, you are rewarded with a crisp ring of awesomeness from the alloy barrel; if you miss, then your hands are left stinging as a reminder of your poor swing. The two piece is more forgiving, but also yields the crisp sound of the new Z-Core technology. 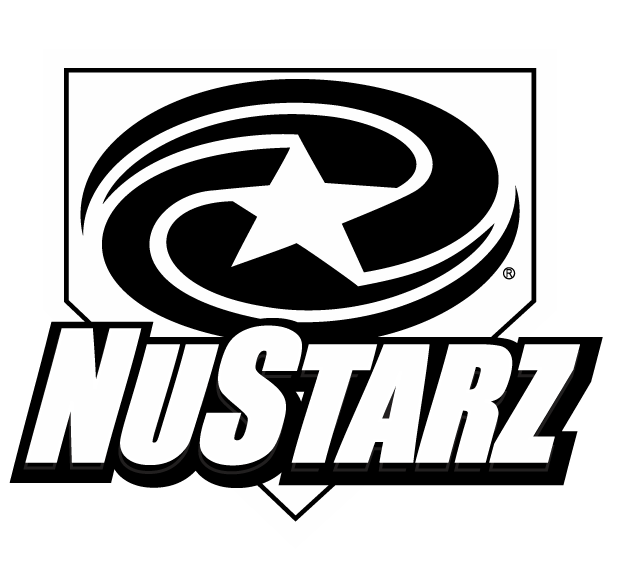 We think the S3Z is going to take over the one piece bat market, but only time will tell. What are your thoughts on the new bat line?